The Art of Expression program is a collaborative effort with a long term goal of connecting marginalized and traumatized youth from across the world to learn from each other and affect positive change. 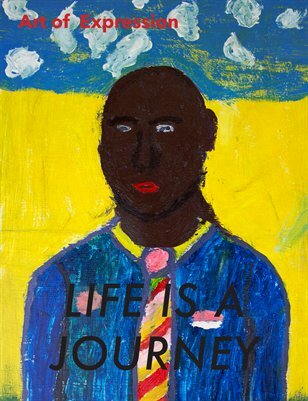 Life is a Journey is a collection of writing and painting pieces created by youth from the Remand Home, a juvenile detention center in Gulu, Uganda, during the summer of 2014 as part of the Art of Expression program. In their stories and art pieces, the youth share their trauma, challenges, aspirations, and every day experiences prior to entering the Remand Home.